Advice: Don't rely on the people at the fish store to give you an education. 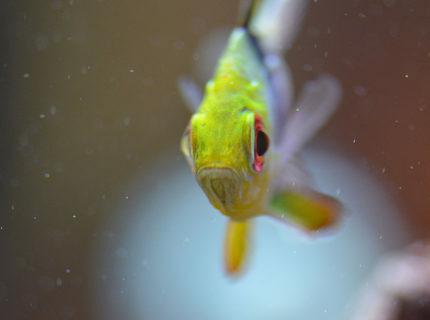 About Yourself: Switched a tank from freshwater to saltwater about 10 years ago and added lots of expensive fish that I couldn't afford...Dumb idea...great tank...sweet fish...couple days later...NO sweet fish...I still had the tank and no money for new fish. START SLOW only put fish in you can afford to loose if something goes wrong...which it will if its your first time. 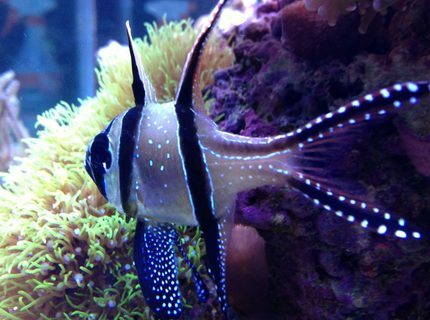 Fish Kept: Queen Angel, Harlequin Huskfish, Picasso Trigger, Niger Trigger, Lunar Wrasse, Snowflake Eel, Green Wolf Eel (orange female), Foxface, Naso Tang, Bristle Star (over a foot across), long spine urchin, and a Tiger Cowrie snail. 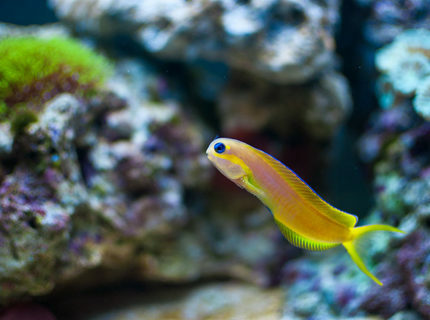 Advice: ADD FISH SLOWWW...START WITH CHEAP FISH YOUR FIRST TIME DOING SALTWATER...STOP...DON'T RUSH!!! That's the best advise I can give. 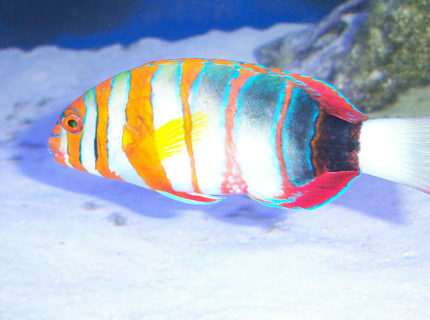 Fish Kept: Naso Tang, Pajama Cardinals, Flameback Angel. Advice: Just take it slow, it's not a race. Advice: Don't keep fish !!!! keep your water !!!! 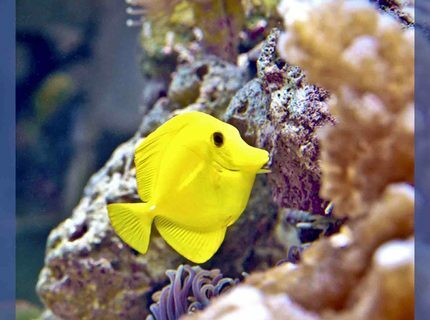 Quote: "Fish are Friends Not Food." 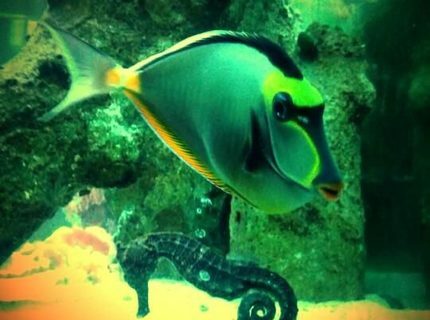 Description: Naso Tang and Kuda Seahorse are Lovers! 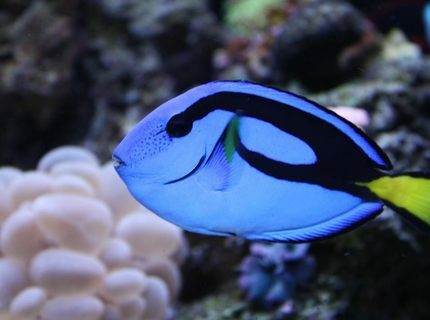 Advice: Try to take your time, its hard but its beneficial in the long run for a thriving reef tank. About Yourself: I started my tank about 3 months ago and i'm loving it. 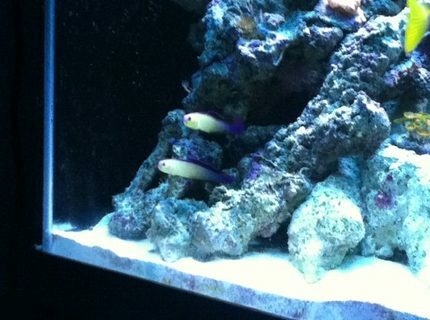 Fish Kept: Drangon pipe fish,Chevron Tang,Engineer Goby,Orange Spotted Goby with a paired pistol shrimp. 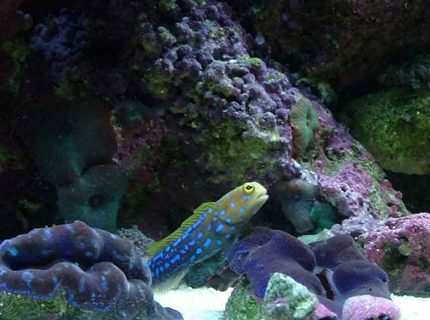 Corals/Plants: Many diff zoo's,Open brain,and many more to come. Advice: My advice for new hobbyists take your time do little by little and seat back and enjoy the hobby. 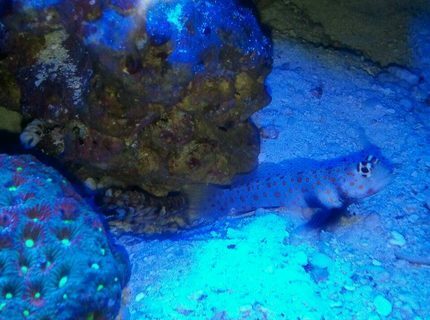 Description: orange spotted goby paired with pistol shrimp. Advice: it is very time consuming and expensive, and addictive.Dip your corals before you put them in the tank!! this is what my tank looked like before I got sea spiders-killed half of the corals. Use Coral Rx!